Jim Heilgeist had success on the field, but he credited a teammate with helping, his running back. "When Aaron Armstrong starts running, defenses usually come up," the tight end Heilgeist told The Spokane Spokesman-Review in December 1988 after a two touchdown performance, "and that leaves the passing lanes open for me." When everything came together, Heilgeist's Liberty High School Patriots were state champions. At Liberty High School in Washington State, Heilgeist had success in two sports, baseball and football. His success in his other sport ended up getting him drafted, but it couldn't get him a long career. 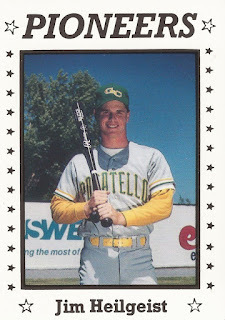 Heilgeist's pro career began in 1989, taken by the Expos in the 19th round of the draft, out of Liberty High School in Renton, Wash.
At Liberty, Heilgeist's success in both sports brought him honors. He won All-State in football and All-State in baseball, according to The Issaquah Press. With the baseball team, Heilgeist helped Liberty to the 1989 state playoffs, but the run didn't end like the football team's. They ran into a pitcher no one on the team could hit, according to The Press. "He really had us psyched out," Heilgeist told The Press of the opposing pitcher. "He was fast, but fast doesn't matter. He was throwing it right down the tube and we couldn't hit it. He just intimidated us." 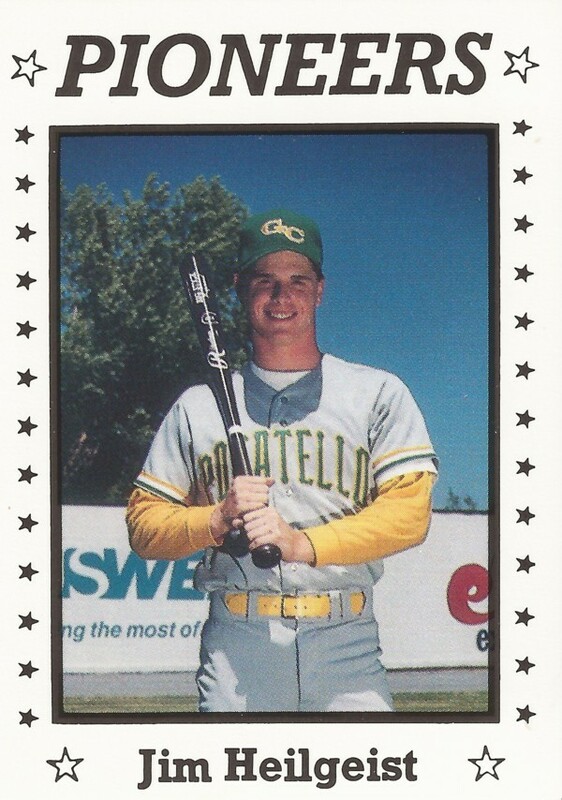 With the Expos, Heilgeist started in the rookie Gulf Coast League. In 14 games, he hit .158. For 1990, the Expos optioned Heilgeist to rookie Gate City. He got into 33 games there, but couldn't improve his average. He ended with a .097 mark, ending his professional career.